Join an emerging model for flexible, balanced, and patient-centered medical practice. As an urgent care physician with HCA’s CareNow, you spend your time at work doing one thing: treating patients when they need it most. We see patients from 3 months through adult, providing both routine primary and urgent care services, including lab and x-ray in a convenient, high tech, friendly environment.. No hospital rounds. No patient call. No interruptions to your schedule. You never have to worry about paperwork. You’re here for your patients. That’s it. Treat your patients – on your schedule. Leave the back-office administration and insurance to us. Earn a competitive salary. Then go home and enjoy your time away from work. 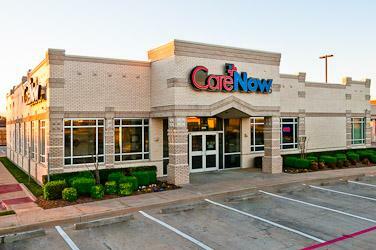 In many ways, the urgent care medical practice offers the best of all worlds – especially when it’s with HCA’s growing network of CareNow urgent care facilities across the US. Main skills needed: Peds (as young as 3 months old) and adults (through geriatrics), general GYN, 1st read on x-rays, suturing – including complex lacerations and multi-layer closures, interpret EKGs, start IVs and administer fluids, I&D, toenail removal, minor dislocation reduction, splinting, strep, flu, and glucose tests. Other services may include workers comp, occupational medicine, DOT physicals, wellness tests & pre-employment screenings. RESIDENTS/FELLOWS: BE SURE TO ASK ABOUT OUR RESIDENT/FELLOW STIPEND/SIGNING BONUS PROGRAM! Interested applicants should submit a copy of their CV to Eileen Duffy, National Urgent Care Physician Recruiter, HCA Physicians Services Group at Eileen.Duffy@HCAHealthcare.com. This position does not qualify for visa sponsorship.